bi-jawfi Dimashq al-Sham, jawf al-Islam. in the heart of Damascus of Sham, the heart of Islam. 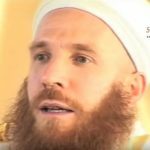 Ten years ago, in Ramadan 1418 H., Sheikh Muhammad al-Yaqoubi (may Allah preserve him and raise his rank) completed the recitatal of Imam al-Bukhari’s Jami` al-Sahih (commonlyh known as “Sahih a-Bukhari”) on the 19th of Ramadan, followed by the recital of Imam Muslim’s Al-Musnad al-Sahih (known as “Sahih Muslim”) which he completed on the 29th of Ramadan, then Al-Shama’il al-Muhammadiyya of Imam al-Tirmidhi. This was a private recital. Sheikh Mustafa Turkmani (who later became the khalifa of Sheikh Abd al-Rahman al-Shaghouri, may Allah have mercy on them both) was among those who attended the triple khatam, which was celebrated with a mawlid at the end. 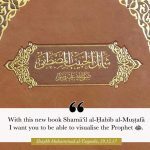 After ‘Eid, Sheikh Muhammad continued reciting Al-Muwatta’ of Imam Malik and one forth of the Sunan of Abu Dawud. 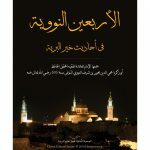 At this time, he was witnessed in a dream, sharing out a huge mount of gold on top of the Mosque of al-Sheikh al-Akbar. 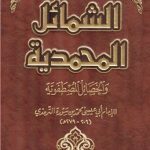 Sahih al-Bukhari and al-Muwatta’ in the Zaytuna Institute in California in 2000 (1421) – this was the first time ever that these books were recited in the West. He recited Imam al-Tirmidhi’s al-Shama’il al-Muhammadiyya in the Central Mosque of Manhattan, New York in Ramadan 2004 (1425), and after `Eid again in Pittsburg, US; then the following summer 2005 (1426) in the Rihla program in Madina, then he began teaching and commenting upon it in the Mosque of Sheikh Muhyi al-Din Ibn al-‘Arabi in Damascus from the beginning of year 1428 and onwards. Then in Rajab 1428, he recited Imam Muslim’s Al-Musnad al-Sahih in Damascus, hosted by none less than al-Sheikh al-Akbar, Sheikh Muhyi al-Din Ibn al-`Arabi, may Allah ta’ala be pleased with him, in al-Jami’ al-Salimiyy. the mosque annexed to his burial place. This was a historical event, since Imam Muslim’s Musnad has not been recited publicly in its entirety for 130 years. The last time this occurred was in 1290, when Ahmad Musalla ibn ‘Abd al-Rahman al-Kuzbari recited it under Qubba al-Nasr in Damascus in 1290 H., and before that by al-Amir ‘ Abd al-Qadir al-Jaza’iri (the famous mujahid, who was also a muhaddith) in the maqam of Sayyiduna al-Husayn in the Ummawi mosque – may Allah ta’ala find pleasure in them all and accept their deeds. 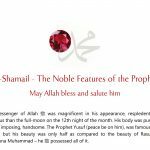 The recital was completed in 9 days, beginning after fajr – after reciting Hizb al-Nur, one of the Shadhili awrad – and continuing until ‘isha with breaks for prayer, food and rest. It was attended by some 400 persons, men and women, and lists of attendence (tabaqat) where established. About half of the attendees were visitors from other coutries – Malaysia, Singapore, Turkey, US, Britain, Canada, Egypt, Jordan, Saudi Arabia etc. A group of munshids, directed by Sheikh Abul Huda, refreshed the spririts during breaks. and made the travel easy and pleasant. As for logistics, nothing was planned, everythinge was improvised. At times, there would be electricity black-outs, upon which the Sheikh continued the recitation at impovised lights, without micophones. The entire event was served by only two people, who vonunteered to serve food and coffe during the breaks. However the greatest miracle is problably the voice of Sheikh Muhammad Abul Huda, by which – despite severely reduced lung capacity – Allah ta`ala has once more allowed us to inhale a fresh breath from the speach of His most beloved Prophet (sallAllah `alehi wa Alihi wa sallam). Wa al-hamduli Allah Rabb al-`Alamin. 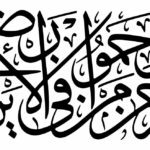 Al-Sayyid al-Sharif Sheikh Fatih al-Kettani hafizhahu Allah ta’ala, son of the great muhaddith Muhammad al-Makki ibn Ja`far ibn Idris al-Kettani rahimahu Allah ta’ala, whose valuable ijazat are sought by many, but rarely given. On this occasion, he gave general ijaza to all those present at the khatam to pass on his isnads, which are the highest existing today. Sheikh Muhammad TaHa Sukar hafizhahu Allah ta’ala, chief senior qari’ of Damascus, who made a long du`a. Finally Sheikh Muhammad ibn Ibrahim al-Ya’qubi – may Allah ta`ala spread his light and incline hearts to his guidance – made du`a and gave ijaza to all those present to narrate Sahih Muslim, under the conditons that the recipient must follow it up by acquiring precision and correctness in recitation, and submit to guidance and suluk. Such ijazat are not a proof of qualification of the recipient, but may be used in future if the person acquires qualifications. 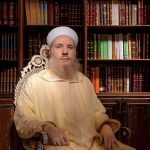 Sheikh Muhammad al-Yaqoubi even encouraged children to attend the sama’ (hearing), giving several examples of how great scholars attained ijazat in their childhood that later were valued because of their “highness’. He quoted as an example his own hearing at the age of ten from sheikh Muhammad al-Makki al-Kettani, a link that contributes to the highness of his own chains of transmission today. The khatam is over. however, the recital of hadith has only just begun. 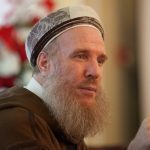 “Haddathana Yahya bnu Yahya al-Tamimiyy… Haddathana Abu Bakri bnu Abi Shaybah… Haddathana Ishaqu bnu Ibrahima…Haddathana Qutaydatu bnu Sa`id…. Haddathna… ” The names of the narrators keep reverberating throughout Damasucus, as, at this time of writing, dozens of hadith work shops are taking place all over the city. How come? 1. Sheikh Abul Huda stressed at the very beginning of the recital that the ijaza is not valid except to persons belonging to Ahl al-Sunna wa al-Jama’a, i.e. those who adhere to the Ash’ari-Maturidi ‘aqida, and the four schools of fiqh, and acknowledge the sufi turuq which conform thereto. – This caused some attendees to leave, while others were led to reconsider their own stance. 2. To show full adab towards Allah ta`ala, His Messenger (blessings and peace be upon him and his family), the mosque, the books (they belong to Allah, and are given as an amana) and the Sheikh, listening in silence, sitting in front of the Sheikh in a position like in tashahhud, giving him respect and complying with his requests. In this way the recital sessions became a practical course of adab, that no book can possibly replace. 3. Attendance of the entire recital. The Sheikh required any parts missed to be made up by listening or reading in front of attendees that he appointed. This last point in particular contains a lot of wisdom. 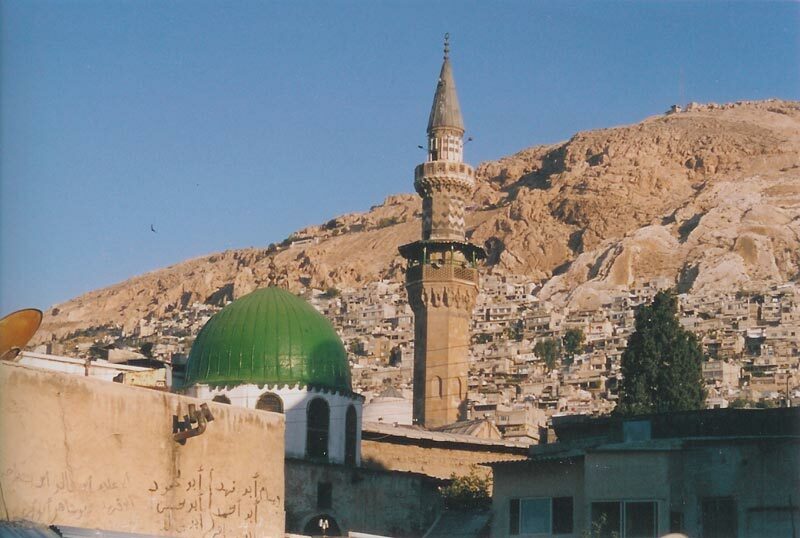 It has resulted in the recital being followed up by dozens of halaqas of hadith all over Damascus, where people recite to each other to make up for missed parts, exerting themselves, and thereby increasing their love for the hadith and their appreciation of the effort involved in performing this type of recital. In general, the impact of the event can hardly be underestimated, and its fruits are already showing. The envolvment of scholars of all ranks, seekers of Sacred Knowledge and commoners, in completing this recital has raised the consciousness of the value of upholding the tradition carrying on the chains of transmission. 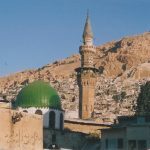 The fame of Damascus and its scholars, as the treasurers of the science of hadith is flying over the Muslim world. Praise and thanks be to Allah who grants us His favours. May our deeds meet with His pleasure and acceptance. 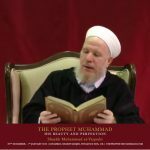 May He preserve the People Hadith, its Keepers and Servants and Lovers. May He keep us all under the shade of Protection he grants us through them, and never stop the showers of Mercy sent down at their hands. May he tie us firmly, by word an deed and spirit, to the Sunna of His Most Beloved – upon whom be the blessings and salutations of Allah most Hign, as well as over his Noble Family and Companions. Amin.